With the cacophony of an election year ablaze with unparalleled drama being fought on the front lines of Twitter, we find ourselves slowing down and staring at it like a bad accident. The need for escapist relief is perhaps more dire than usual right now. This fall, if it's drama you crave, but the Hillary v. Trump show is driving you to near-suicide, then the AMC series Halt and Catch Fire is your new best friend. Returning for its third season on Tuesday, August 23rd with a two-hour premiere, you'll still get your fix of intriguing plot twists, flawed personalities, and high stakes, but without the partisan tantrums and pre-apocalyptic anxiety. What the Hell is this Show About? 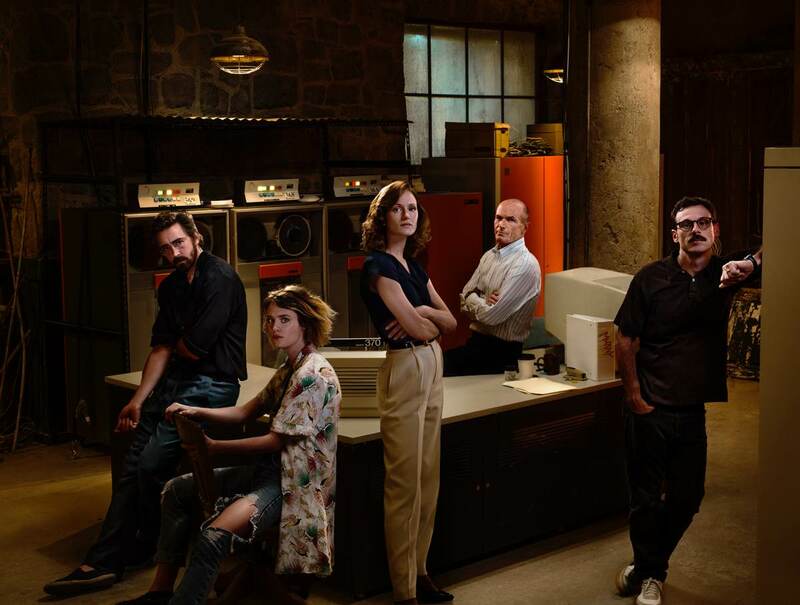 The show's title refers to the computing term (HCF), "Halt and Catch Fire," an early technical command that sends a computer into race condition, forcing all instructions to compete for superiority at once. Control of the computer could not be regained. The namesake series takes place in the personal computing boom of the 80s, when IBM was dictator, and before "website" was a word. Though HCF is categorized as a "workplace drama," you could say the same thing about Breaking Bad, and you'd be completely missing the point--and the thrill--of both shows.